JO Yardley's love affair with dogs was inevitable, growing up in a household "ruled by Collie Roughs" she has loved man's best friend for as long as she can remember. While Ms Yardley shared her parents love for dogs, she didn't share their love for the collies, from around the age of five she could remember wanting a dachshund. After 13 years of dreaming of dachshunds, buying her own dog was at the top of her to do list - since then she hasn't looked back. "When I left home at 18 I got my first dachshund and I haven't been without one since," Ms Yardley said. More than 34 years later, Ms Yardley is a dachshund breeder and an avid dog shower, her dog Harvey, presently holds the most prestigious dog title in Australia. 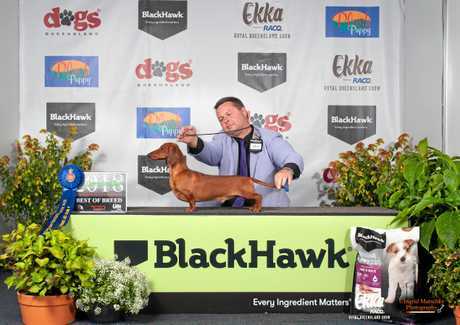 Under his official show name Australian Supreme Champion Almarjo Harvey Von-Schnitzel, the miniature smooth dachshund recently gained another title under his collar at the Ekka. 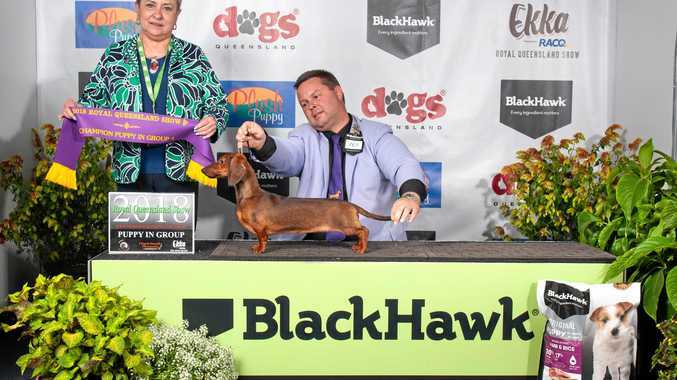 The two-year-old sausage dog snagged Best of Breed, defeating 18 other dachshunds in the category, living up to his title as number one mini smooth dachshund in Australia. Ms Yardley's puppy Australian Champion Almarjo Lady Sara was also victorious in the show, claiming the champion puppy title. The miniature smooth dachshunds were judged by their expressions, arms, eyes, long neck, smoothness and movement. "If you picture a train moving that's how a dachshund should move, it shouldn't be turning in the legs it should be nice and sound coming and going," Ms Yardley said. 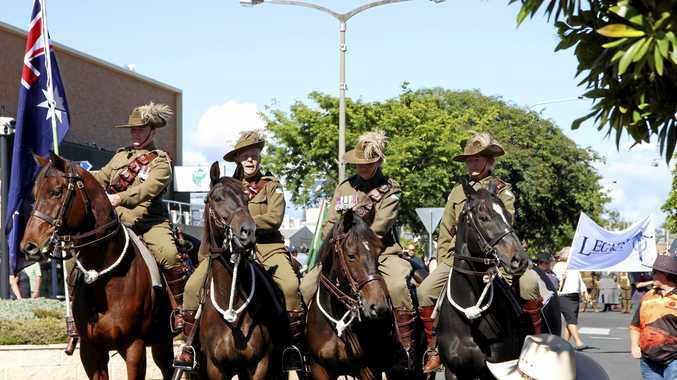 Harvey has been semi-retired - he now will only be bought out for the top shows in Australia.